Last week I felt bad for Hinata stuck at home as a housewife and mom when she, Naruto, and their friends once did battle side-by-side on the front lines…but I just might have it all wrong. This peaceful life, both for themselves and for their children, is what they fought for in the first place. But some youngins are restless, and long for a time they probably romanticize since they weren’t even alive for the worst of it. One such knucklehead, Aino Iwabe, picks on Denki, leading to Boruto challenging him. It’s the second straight week Boruto saves Denki from a bully or bullies, only this week there’s much more emphasis on Boruto as a brat riding his illustrious dad’s coattails. After all, he crashed a train into a mountain and just got a slap on a wrist. Between that incident, the lenient punishment, Yamanaka Inojin’s shade, and Iwabe’s taunts, Boruto has to work for acceptance by his peers (at least the ones who aren’t Denki or Shikadai). That means the class dismisses itself for a good old-fashioned schoolyard duel. 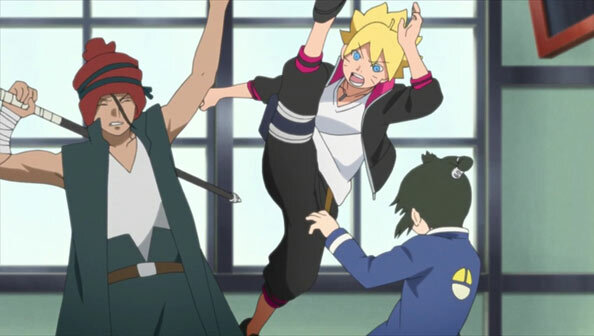 Boruto is able to keep up, but gets thrashed around quite a bit by the older and clearly more advanced Iwabe. Even Uchida Sarada, who had put up a haughty dismissive front to that point, seems to fret over the outcome of her childhood friend’s fight with the older kid. In the end, Boruto all but convinces Iwabe that everyone has their individual circumstances, but blaming “the times” for one’s failures, not to mention picking on those weaker than you, is way uncool. When Iwabe loses his temper and readies an earth-based weapon, he is quickly stopped by Inojin, who despite his earlier shade, gained respect for Boruto for defending Denki and proving through his skills that he’s not simply riding coattails. 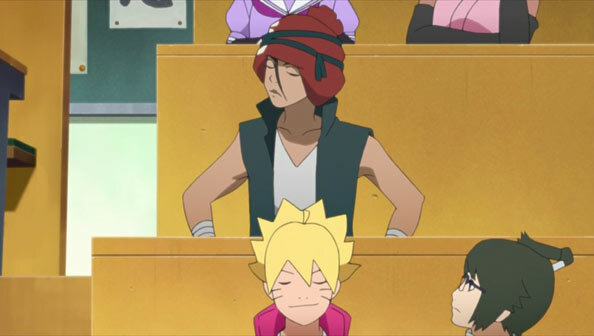 When class reconvenes, Iwabe is right there behind Boruto, and they exchange cordial greetings. 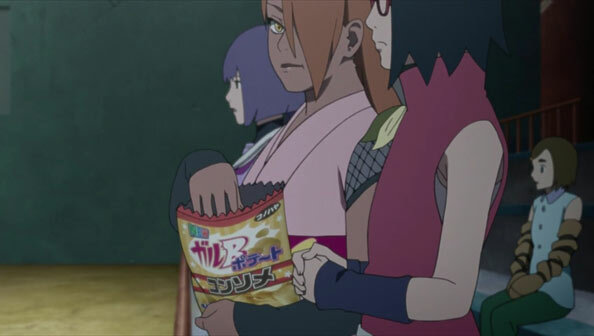 And Boruto is no longer unpopular, getting lunch invitations from many a classmate. Another peaceful resolution in a peaceful world. No one knows how long such peace will last, but they certainly can enjoy it while it does. 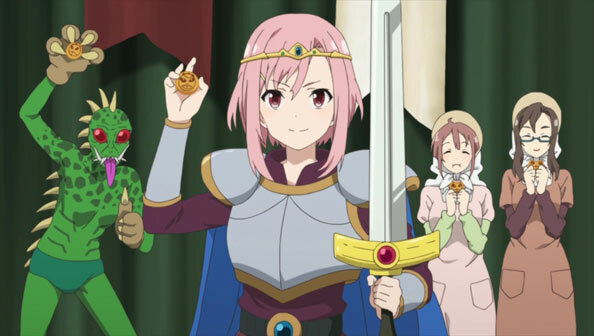 Yoshino I is still very much The Reluctant Queen, but Ushimatsu doesn’t care, and sets her to work immediately. He’ll let her vacate her one-year contract if she can sell a hundred a thousand boxes of “Chupakabura manju” sweets he ordered to celebrate her coronation. And she only has a week to do it—that’s their “best enjoyed by” date. It’s clear Shiori doesn’t want her new queen to leave so soon, but she still helps Yoshino out, connecting her first with her timid but tech-savvy childhood friend Ririko, whose mother runs Manoyama’s sweet shop. 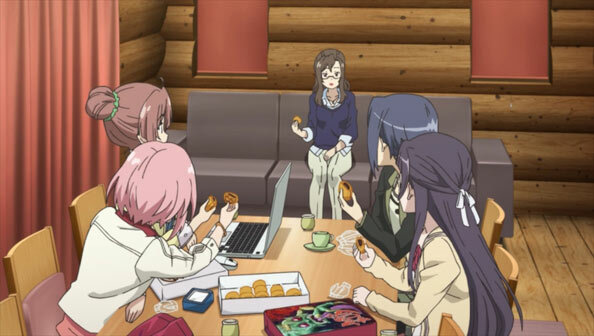 The encounter helps Yoshino decide on the proper marketing strategy to sell the manju: a website. 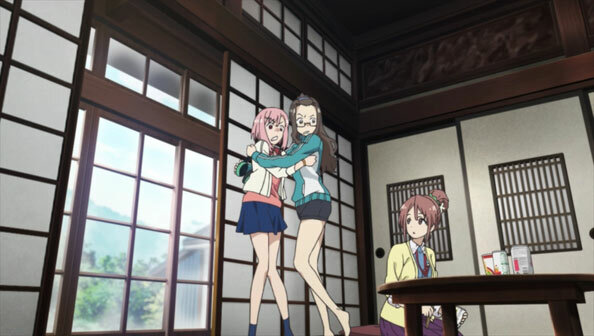 For that, Shiori takes Yoshino to the home of another Tokyo ex-pat, Kouzuki Sanae, who seems to be slowly losing it in her dark, litter-filled apartment. When she screams due to a bug, Shiori and Yoshino barge in, and Shiori, like a boss, takes care of the bug while the other two cower. Between Riri and Sanae, I’m loving the detailed, isolated, lived-in little worlds these women inhabit within the town. Sanae is eager to help her new town out (as well as for human contact) so she works through the night at Yoshino and Maki’s cabin to whip up a “fancyccult” website. 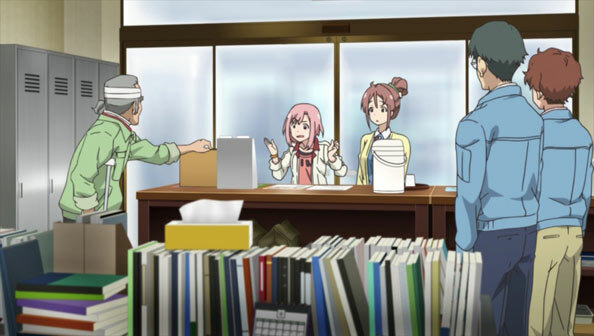 Alas, on the first day of sales, Yoshino manages to part with precisely zero of one thousands boxes of manju. When they try to make the queen seem contrite about ordering too much (after far too many hilarious provisos were attached to her beauty), that results of the sale of three boxes…to Shiori’s family. Taking things up a notch, they decide to take Maki’s advice and make a video. Maki, AKA “The Oden Detective”, who has experience in acting, superhero shows, and part-time labor, plays the chupakabura, while Riri is the cameraperson. It’s a modest but cute little production…but it only results in netting one more sale—to the creepy (Westerner?) musician Yoshi first met on the bus. The week comes and goes, and Yoshino is pathetically short of the thousand sales needed to release her from her year-long contract. 996 sales short, to be exact. And yet…she learns that’s not such a big deal. When she asked Sanae why she left Tokyo, Sanae said she was simply sick of it. Sick of Tokyo, thought Yoshino? The place that has everything and where you can do anything? Where countless opportunities abound? 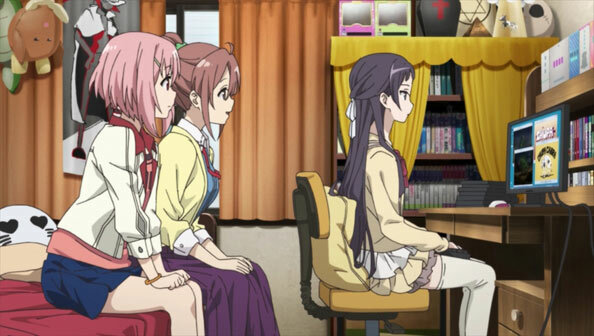 Yoshino has this idea that she can’t make it anywhere if she can’t make it there, but she has it all backwards. 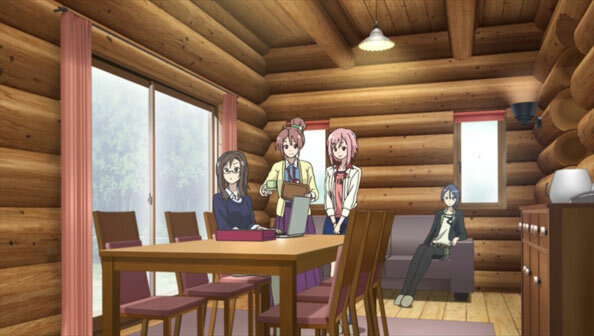 At the end of the week, Yoshino made some great friends and had a lot of fun. 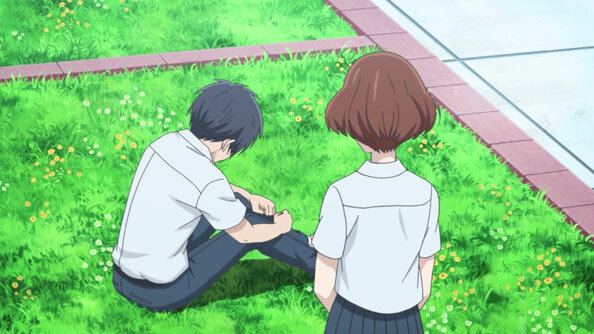 So when Shiori tells her the cherry blossoms won’t come for a couple more weeks, she decides, all on her own, that it wouldn’t be the end of the world to spend those couple more weeks in Manoyama. And as much as I too love and admire Tokyo, I don’t blame her. She’s got a good thing going here. And she’s not anywhere near her ‘golden years’! Just when Asai determines Mari is the result of her mother’s ability to create a clone of her never-born daughter, an agent of the “Bureau” (or “Kanrikyoku”), Tsushima, arrives to take her away. The father left town, and now the mother will do the same, leaving the virtual Mari a virtual orphan. That doesn’t sit right with Asai, so he has Haruki reset, and the formulation of a plan commences. It’s actually pretty impressive how quickly and efficiently Asai directs the service he and Haruki are likely going to be providing throughout the run of the show: “erasing tears” by resetting and fixing the cause of those tears. 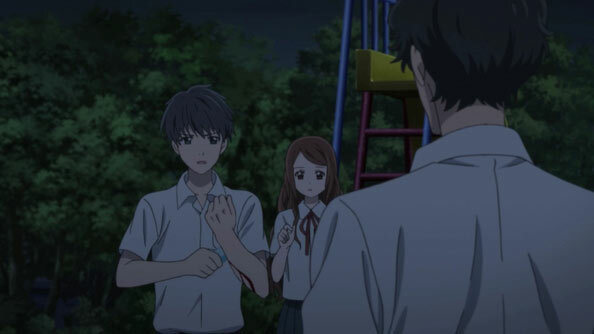 Their classmates assist with their own abilities, but when the one who allows Asai to share his memories with Haruki bristles at the prospect of defying the Bureau, Asai cuts himself with a broken ramune bottle until Tsushima gives permission. Everything works out perfectly: Asai, with the help of the rest of the group, is able to show Mari’s mother the error of her ways; to stay and continue raising the girl who may not technically be her real daughter, but loves her nonetheless. With Haruki and his classmates’ combined powers, Asai has gained the power to “erase sadness.” In the process, he’s also managed to awaken some feelings in Haruki, though the road is long. He discusses this in great detail with Souma Sumire, who is a tough nut to crack: you get the feeling she’s glad Asai may have found his calling, but a part of her also regrets bringing him and Haruki closer together. Mind you, the relationship between Asai and Haruki doesn’t become a romance overnight. After all, Haruki has only gained back a small portion of the full spectrum of emotions most humans carry and experience. She cuts her hair at his suggestion, but also confuses trust with love. Asai proves it when they kiss and there’s no spark. Then he undoes the premature kiss by asking her to reset. After seeing what they managed to accomplish with Mari and her mother, Haruki believes following Asai’s lead is her “zeroth rule”, so she complies. 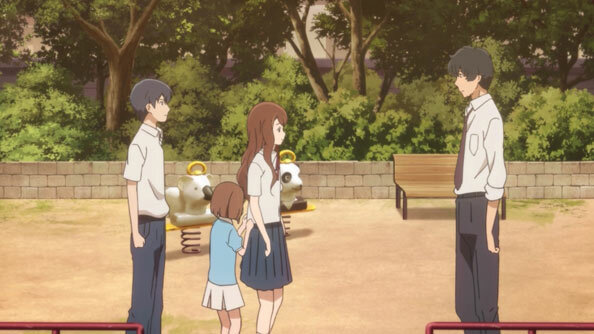 But in the period between Haruki’s Save Point and her Reset, Souma Sumire falls from the bridge, into the river, and dies, as we witnessed at the end of last week’s episode. Seeing her wearing the dress and holding the red umbrella rendered her a dead girl walking, and gave her last conversation with Asai far more significance than he could comprehend at the time. When Haruki finds Asai quietly mourning on the rooftop, she demands he instruct her to reset…unaware she just did, and it’s too late. When she sees Asai crying, she can’t help but do the same. She’s following his lead, but also realizing that this is what the two of them have to stop from happening to others at all costs. 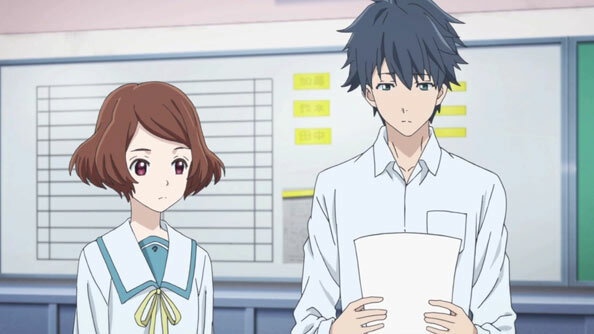 There’s a huge jump of two years to when Asai and Haruki, now high schoolers, are recruited by Tsushima into a Bureau-sanctioned “Service Club”, where they can erase sadness in an official (and supervised) capacity. 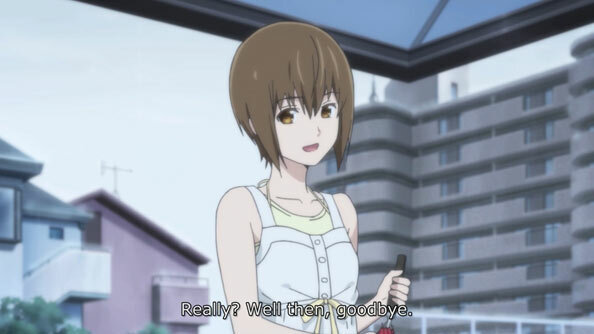 It’s a pretty jarring time leap, to be honest, but it means the first two episodes were always meant to be a prologue in which the pairing of Asai and Haruki was made and their shared calling revealed. Now the real work begins: both the sadness-erasure work, and the emotional-awakening-of-Haruki work.